It’s just about every travellers dream location – The Islands of Tahiti. Notoriously well known for its luxury accommodation, a buffet of picturesque islands lined with swaying palms and oozing with class and exclusivity, The Islands of Tahiti are nothing short of incredible. The rumours are true everyone, Tahiti is one of a kind and is begging to be explored. When I speak to most travellers about Tahiti, their first response is, ‘I’d love to visit, but it’s so expensive.’ Yes, for the most part, this is true, but only if you’re planning on visiting atolls and islands such as Bora Bora. If you have the mindset of travelling to Tahiti, and all you’re expecting to see is Bora Bora, than yes, expect it to be expensive. In reality, there are 118 islands that are waiting to be explored, spread out all over the island nation, all just as unique and as beautiful as Bora Bora. Yes, generally speaking, the islands in French Polynesia are on average, more expensive than a trip to South East Asia, but in this article, I want to debunk the myth that it’s almost impossible to travel their on a budget, and that there is more to see and experience than just Bora Bora. It just takes a little planning and persistence to make it happen. I was fortunate enough to travel to The Islands of Tahiti with Tahiti Tourisme Australia & New Zealand and Townske for work, so I’m trying to approach this article with a little less bias and more open mindedness. After chatting to the locals and residents of the island nation, it became quite apparent that the cost of travelling here is less than generally expected. With a little extra research done after returning home, I was able to create a more informed article for you, the reader, that will hopefully inspire you to take your own trip. Move over Bora Bora because these French Polynesian islands are on the rise and offer fantastic alternative choices to stay and play. Wether it be a day trip or a week long stay, these locations are a ‘must research’ for your next trip. 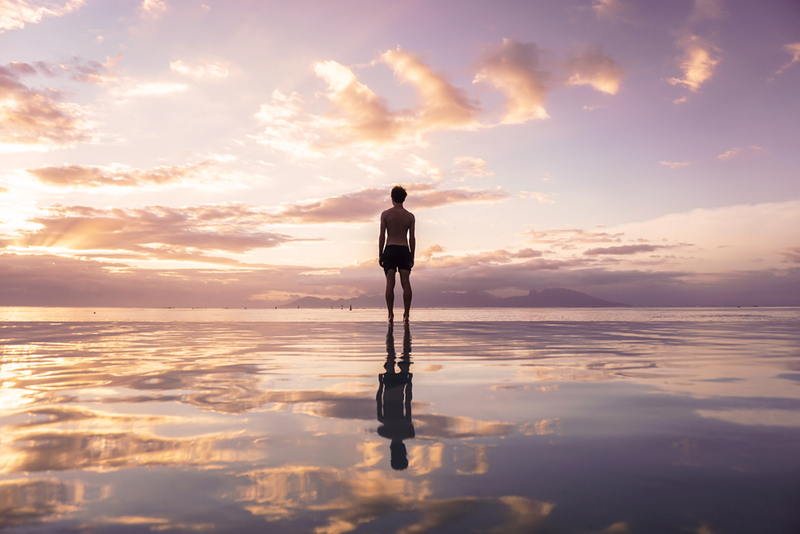 Realistically, if you’re travelling from Brisbane, the flight will take you approximately eight and a half to nine hours to reach Papeete with a stop over in Auckland. From here, the multitudes of smaller islands are easily accessible by plane or boat. For example, Moorea is only a 30 minute ferry from Tahiti once you arrive. From the air, it looks absolutely stunning – I can only imagine what it would have looked like at eye level. Other bloggers and photographers who we were joined by on our trip couldn’t speak more highly of Moorea. After looking into flights, I’d recommend this as your first point of research as an alternative island to stay and explore. 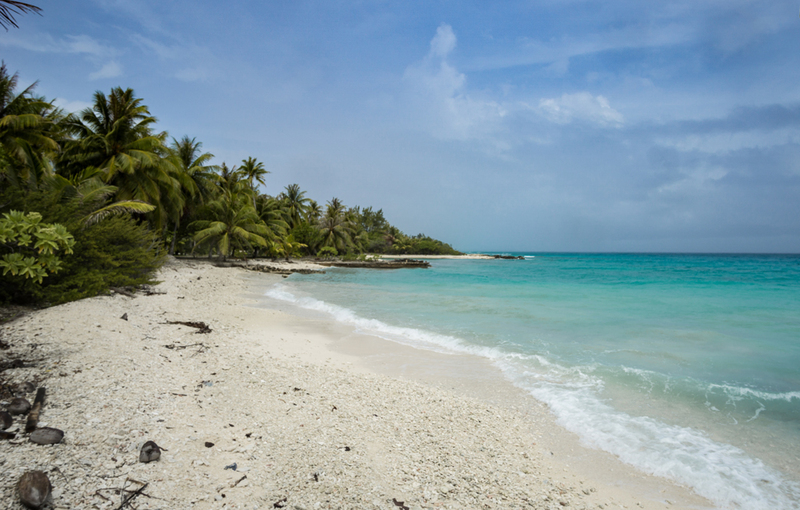 Personally, we ventured out to the Tuamotus and to the atoll of Rangiroa – a divers paradise. Take a look at skyscanner.com.au and compare the flight costs over consecutive months to see which month is your cheapest option. This will give you a solid foundation to compare other airline prices and costs. For your budget to work effectively for you, you’ll need to do your research and see what accommodation is available. If the traditional resort is out of the question, don’t worry. Have a look into guesthouses, AirBnb and guest lodging on the outer islands. 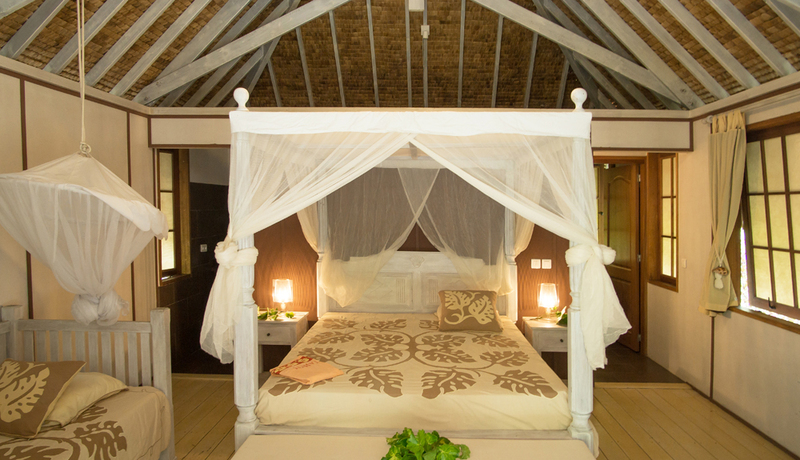 These are often less expensive, yet still provide a roof over your head, and a world of island paradise to discover. 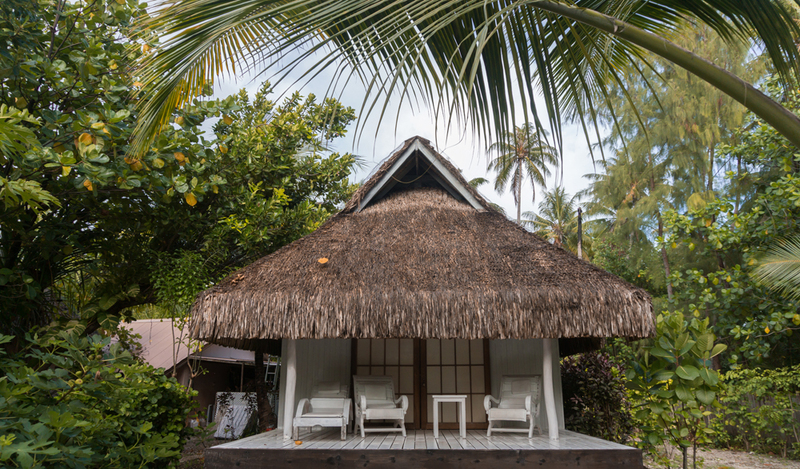 After doing some quick research on AirBnB & Booking.com, I found beachside bungalows on Tahiti and Moorea for $80 AUD per night and $110 AUD per night respectively during the months of June & July. This cost covers two people sharing a room, so effectively this is split in half again per night for each individual. If you’re not afraid of the outdoors and sleeping under a palm tree at night doesn’t bother you, look into purchasing a hammock. Providing you don’t sleep under a palm tree with loose coconuts, this option is the ultimate backpacking choice, and doesn’t cost a single cent (other than the hammock of course). As a bonus, you’ll wake up beachside in paradise to watch the sunrise before anyone else happens to see it. Hammocks cost as little as $20 AUD. I’ve attached a link to my favourite website to purchase them here. Additionally, a quick Google search for nylon hammocks will deliver the goods for a cheaper alternative. Transportation. If you’re planning on travelling around the main island of Tahiti for an extended period of time, you might want to look into hiring a car. Keep in mind that Tahitians drive on the opposite side of the road to Australia; so be prepared for that change. Alternatively, scooters are available for hire or you can catch the public transport. If staying in a hotel, utilise hotel transfers where possible. The main island of Tahiti is surprisingly large, something that caught me off guard during my travels. 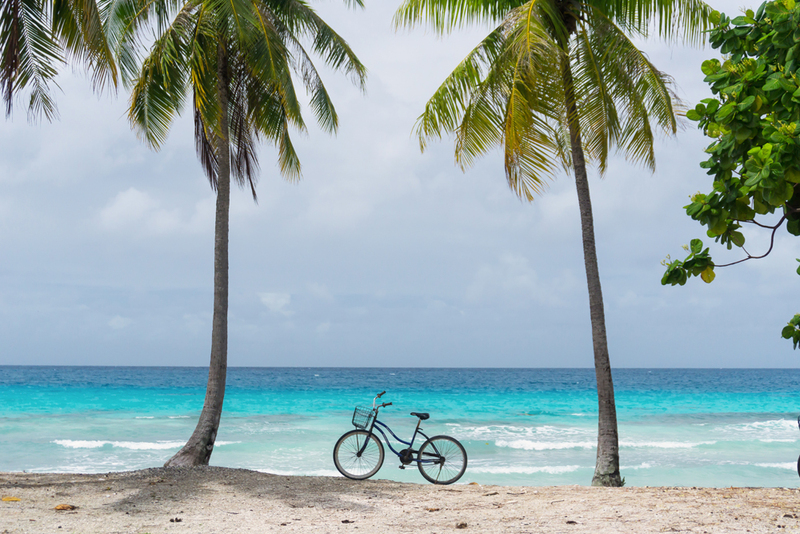 When travelling to the outer, smaller islands, it becomes easier to explore on foot or by bike. Hitch hiking is also an option if you feel safe doing so. 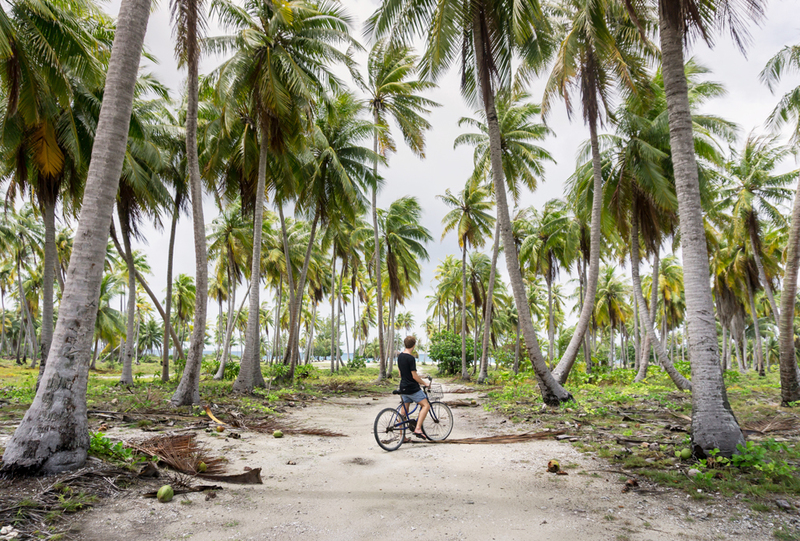 The Tahitians are incredibly friendly, and we felt safe doing so on the island of Rangiroa during a downpour at 5:30am one morning. Lets now touch on the topic of food. Eating at a resort, as most of us are aware is going to cost you more. Unless you’ve struck up a phenomenal deal for an all-inclusive package, than it’s going to push the limits of your budget. If you’re anything like me, and enjoy a good breakfast, then maybe splurging on the breakfast choice with your hotel isn’t so bad. Fill up on breakfast so it carries you through to later meals in the day without feeling starved. As for the rest of the meals during the day, take a look at shopping locally or visiting the markets. The markets and roadside stalls are the best option to pick up cheap fruit and vegetables, plus any other small items of food you might need. Fruit in Tahiti is incredible. The quality is similar to Australia and is easily accessible on the side of a road. Look at stocking up and having enough fruit and veggies to last a few days. If you’re staying on the main island of Tahiti, there are plenty of grocery stores and food stalls available. 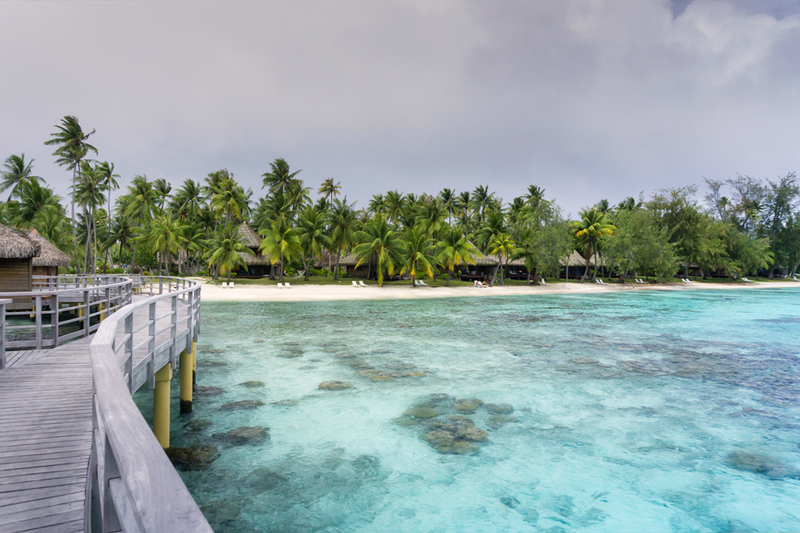 Explore the smaller atolls and islands in the sheltered reef and lagoons on Tahiti. Take a trip out to the blue lagoon. While Tahiti may seem like an unachievable world away for many, I can assure you that if you stick to your budget and plan it out well, the ability to explore such an incredible array of landscapes and stunning scenery are all but a flight away. The locals are more than willing to lend a hand and steer you in the right direction. Plan a trip with a partner or friend and enjoy the very best of French Polynesia. Be sure to do your research, brush up on a few French phrases and I can guarantee that The Islands of Tahiti will leave you speechless, but also filled with many fond memories. 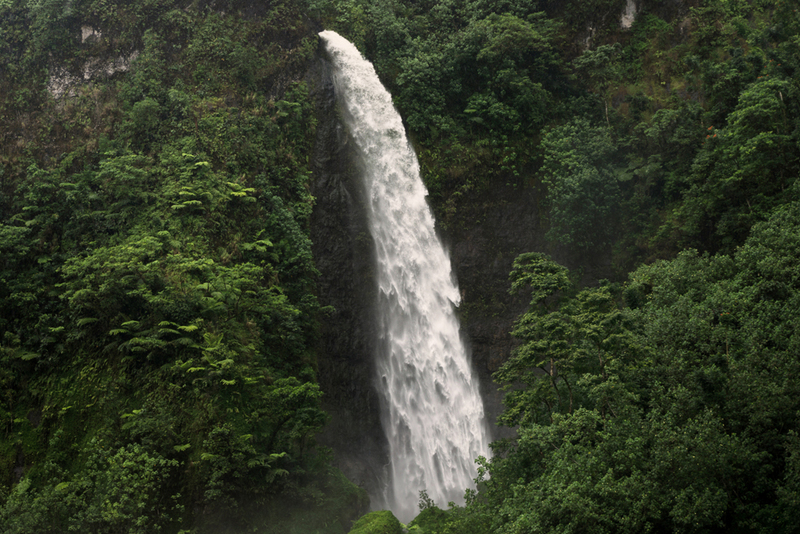 The Islands of Tahiti are all interconnected by Mana – The spirit to embrace. Mana is ever present from the moment you arrive. From the people to the landscapes, Tahiti will leaving you feeling more connected than ever before. Why not experience it for yourself? Special thanks to Tahiti Tourisme Australia & New Zealand, Townske and Air Tahiti Nui for making this trip possible. If there’s anything I’ve forgotten, or you simply just wish to say hi, comment below! Book your accommodation in Tahiti here. Want to see my Tahiti Video? See below! wow, it looks amazing! thanks for your intense research. Can’t wait to visit the islands myself. No worries at all! Glad I could help in some way! 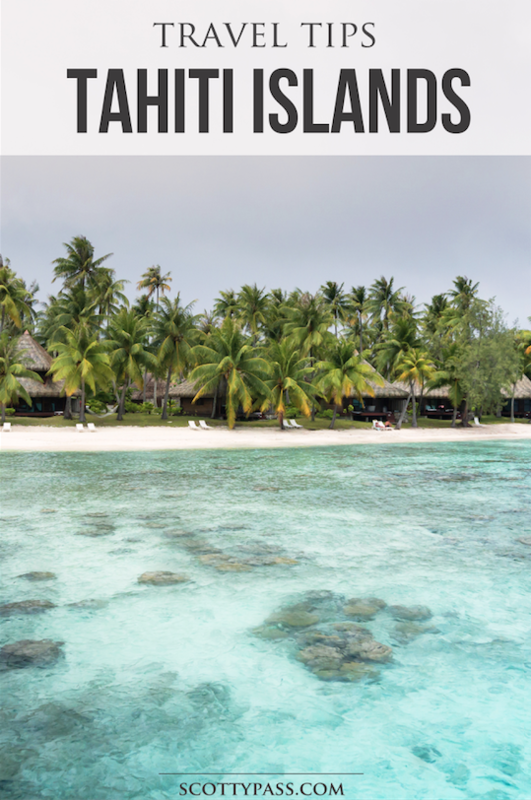 Enjoy planning your Tahiti adventures!